Surfing is a thrilling water sport, first invented in the Hawaiian Islands by kings and queens. The word for surfing in ʻōlelo hawaiʻi (Hawaiian language) is heʻe nalu, which literally translates to wave sliding. Here in Hawaii, surfing not only brings people together, but it also helps to solidify its people’s relationship with the ocean and their culture. If you are planning to take a little trip to the islands and want to hit up the best surf spots, then check out Culture Trip’s 10 best places for surfing in the Hawaiian Islands. Also known as Ehukai Beach, the Pipeline is infamous for its large waves, which break in very shallow water on top of the reef, creating beautiful wave formations that allow surfers to ride inside the tube. www.aspworldtour.com www.triplecrownofsurfing.com The attached image is royalty free for editorial use only, no commercial rights granted. The copyright of this image is owned by Covered Images Sale or license of this image without permission is strictly prohibited. China Walls is a cool cliff jumping destination in the winter, but when the summertime rolls around the corner on the south shores, the waves start pumping. China Walls doesn’t usually go off unless the waves are sizeable, and it has a perfect left. Another South Shore beach which is infamous for its massive shore break is Sandy Beach Park, located in Hawaii Kai. Sandy’s shore break can reach well over 10 feet (three meters) and has the nickname of “Broke Neck Beach” for good reason. Waikiki was once a surfing spot reserved for aliʻi (Hawaiian royalty) on the island of Oahu. Waikiki is also perfect for beginners or longboarders who prefer the smaller waves. If you want to venture out and paddle further offshore for bigger waves, then it also has breaks called Queens, Canoes, and Publics. A local favorite and often described as a hidden gem by the people of the North Shore of Oahu is Puʻena Point, in Haleiwa Beach Park. Its smaller waves can be fun for longboarders and beginners, but its outer reef attracts the more advanced surfers. It is usually less crowded than most North Shore surf breaks, especially in the wintertime. Another popular beach on the South Shore of Oahu is Makapuʻu, famous for its enormous waves that break on the shoreline. This spot is primarily a beach for bodyboarders, but when the waves increase in size in the summer, surfing can be done offshore here as well. To the left of Makapuʻu is a beach called Baby Makapu‘u, or Baby Makz, which has smaller waves that are more suitable for younger children, hence its name. It is a very short paddle out to the long rolling waves. 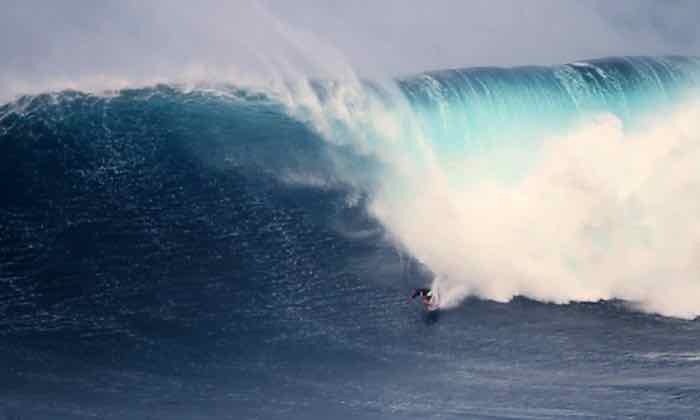 Peʻahi, or Jaws, lies on the North Shore of Maui and is famous for its massive wintertime swells. Redbull sponsors a big wave contest every year here. 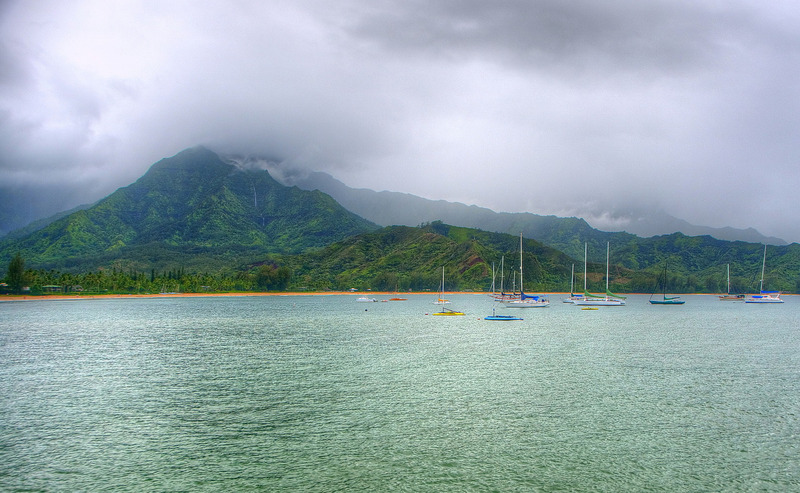 Hanalei Bay is a perfect location for beginner surfers or more experienced surfers on the island of Kauai. It is home to numerous surf breaks, which allows for less crowded and often changing conditions.